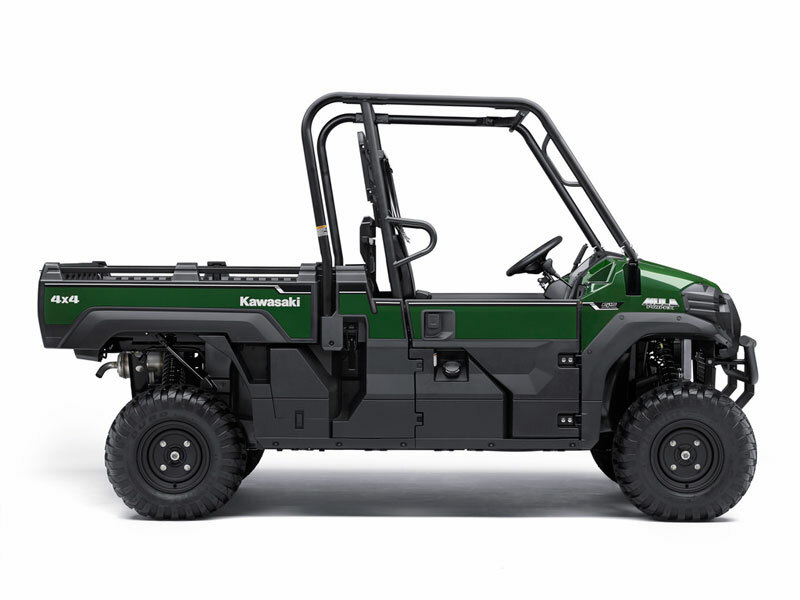 Like the PRO FX petrol model counterpart the three-seater PRO-DX offers “Diesel economy”, “Durability” and “Comfort and Convenience”. 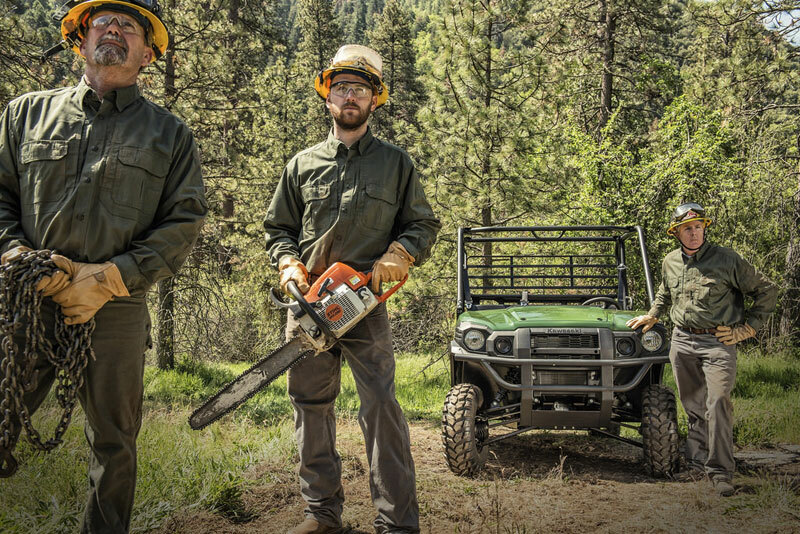 The diesel model was designed primarily for work applications, where their high-torque diesel engine will deliver excellent performance and allow on-site fuel compatibility. 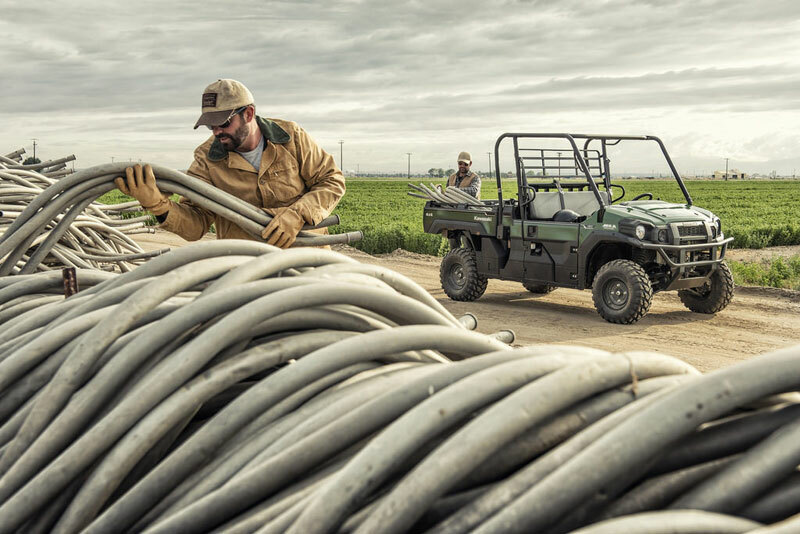 With a greater focus on cargo carrying performance, the PRO-DX features a long, flat cargo bed – the largest in the MULE fleet, making it the workhorse of choice for customers who need to haul material. 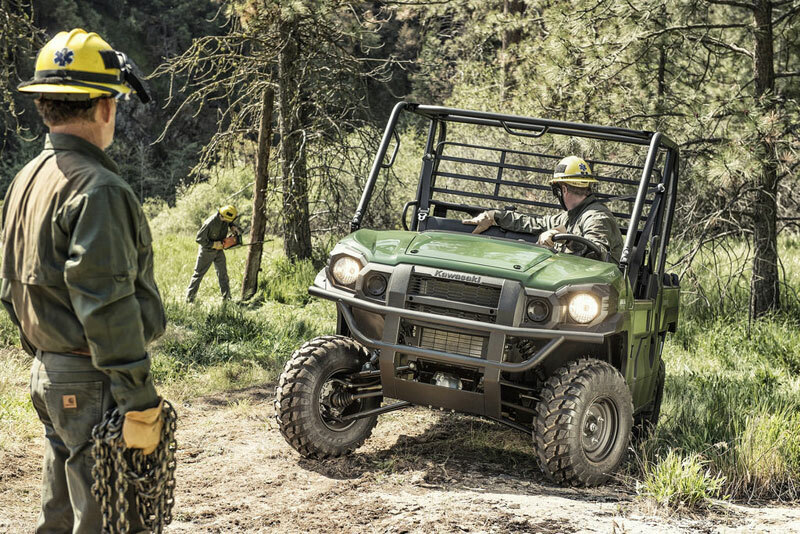 If cargo capacity is your greatest priority, then the MULE PRO-DX is your partner of choice. 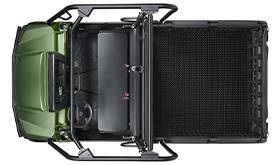 Its cargo bed is the largest in its class, ensuring you can carry more, and carry it more easily. Cargo bed dimensions are 1,375 mm L x 1,355 mm W x 280 mm H. Its long, flat design makes it easy to load from three sides. 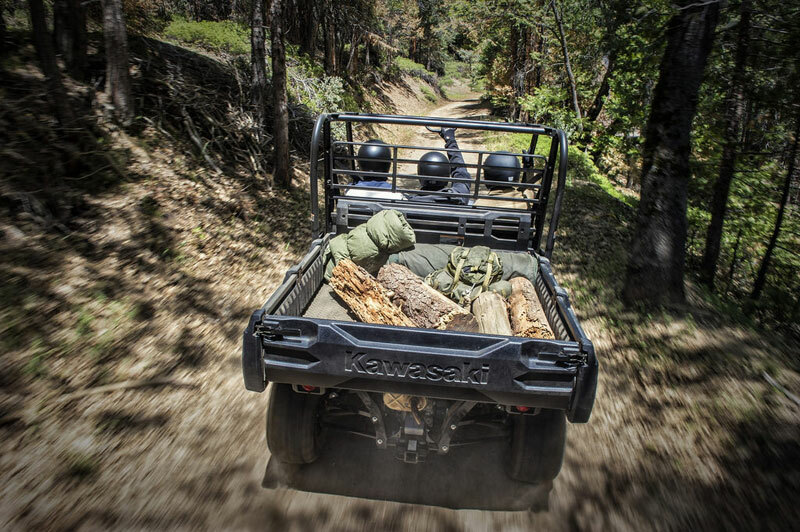 Cargo bed load capacity is 453 kg. 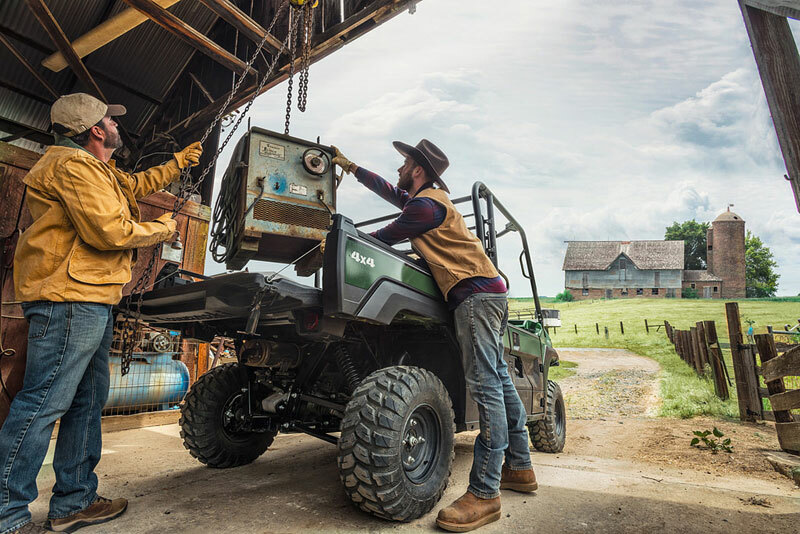 Enabling fuel compatibility amongst workplace machines, the MULE PRO-DX is well suited for use in working environments where diesel is the primary fuel, such as in agriculture, underground mining, inside factories or on military bases and construction sites. 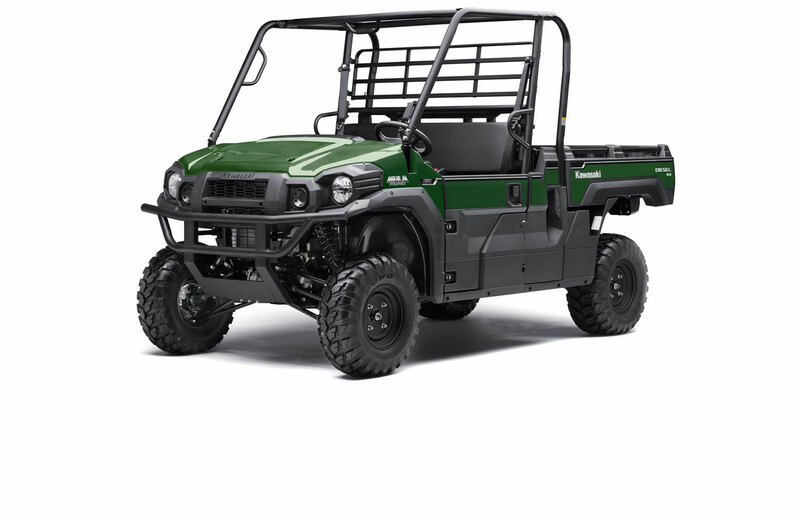 Combined with their rugged chassis, these hardy machines also represent practical choices for more traditional utility vehicle users who simply wish to opt for the lower operating costs, durability and reliability that a diesel-powered vehicle offers. Front and rear disc brakes ensure strong, sure stopping power. The hydraulic disc system offers predictable performance, delivering brake power that matches input at the brake pedal. Front Discs are 212mm and gripped by two-piston (27mm) calipers. Rear Discs are 212mm with single 34mm piston caliper. Semi-metallic brake pads offer the right balance between braking power and long life. 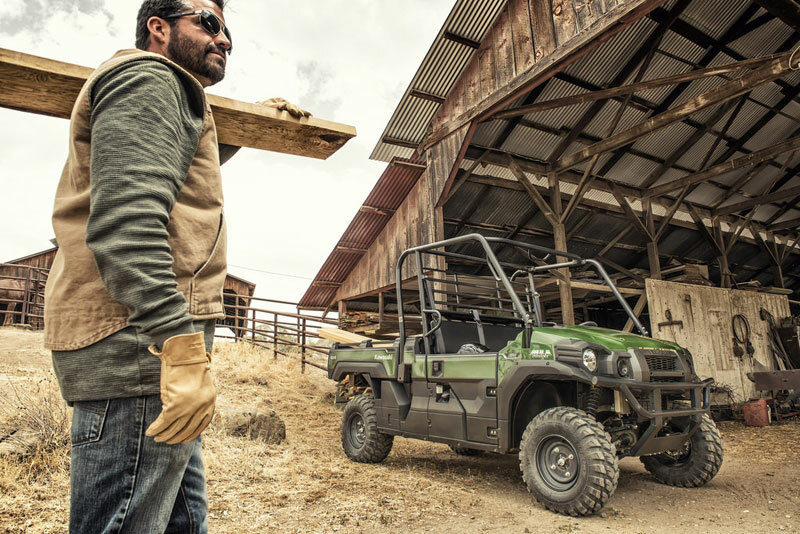 Designed to reflect the tough construction and strong performance, the MULE PRO-DX features rugged, no-nonsense styling similar to that found on hard working utility vehicles. Clean dashboard design includes switches for the lights, selectable 4WD, rear differential lock. Cup holders and 3 handy storage compartments right, left and centre, also handy five spaces for additional switches have been prepared. 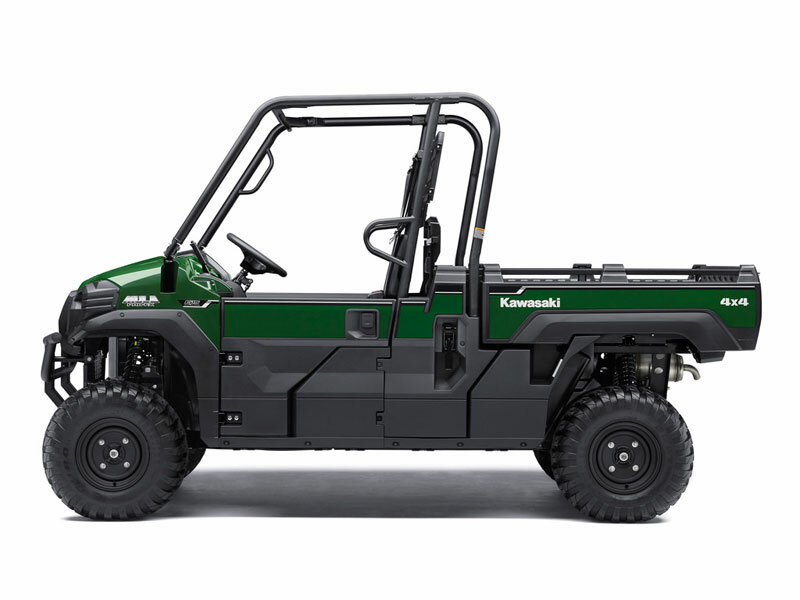 Kawasaki MULE side by sides are famous for their durability, and the MULE PRO-DX is no exception. 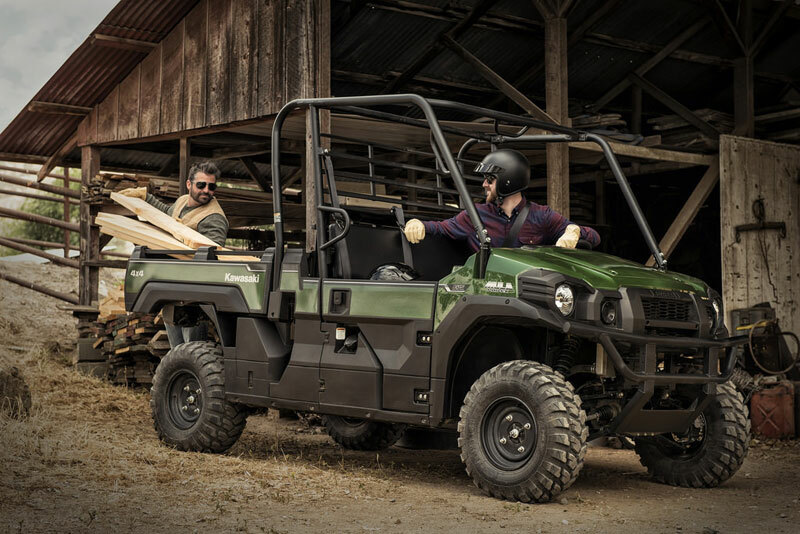 Built to last, the newest additions to Kawasaki’s MULE PRO Series line-up also look tough thanks to their rugged, no-nonsense styling. After undergoing extensive stiffness balance testing, the frame offers good lateral and torsional stiffness. 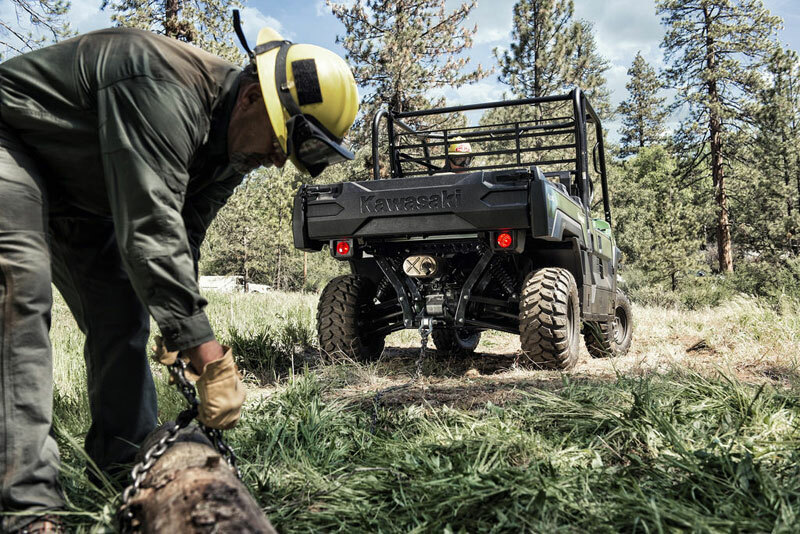 The right amount of chassis flex to handle the shock of off-road work while maintaining a high level of ride comfort. 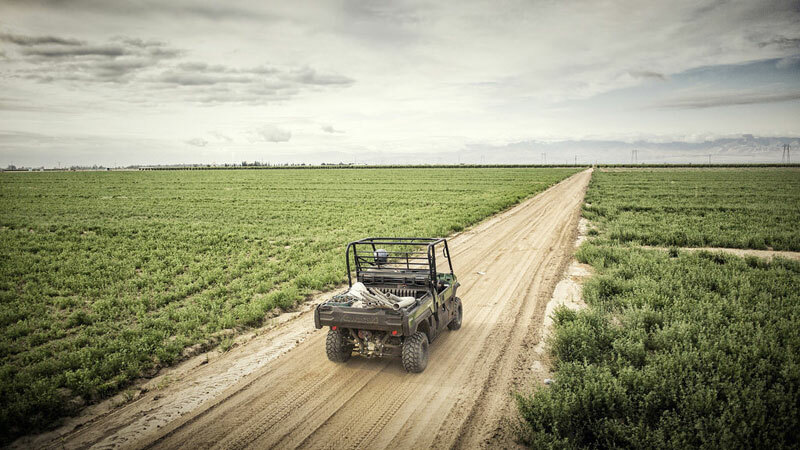 ROPS approved cab frame and and inertia reel seat belts are standard for added peace of mind. Always wear an approved helmet and read the owners manuals. 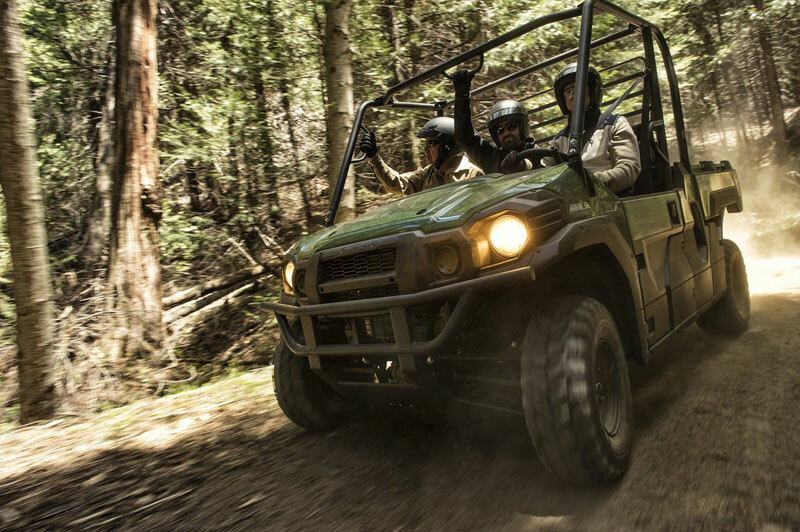 The MULE PRO-DX combines a wide-body chassis with a 2,345 mm wheelbase. This contributes to riding stability and comfort, while offering easy operability and manoeuvrability. Wide track: 1,385 mm (front), 1,315 mm (rear) contributes to vehicle stability. 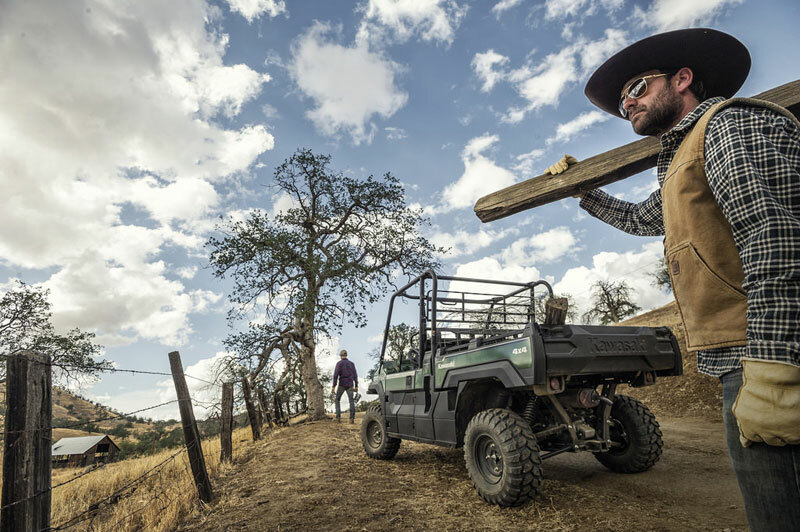 The stable chassis platform is complemented by front and rear independent suspension that adds to ride comfort. 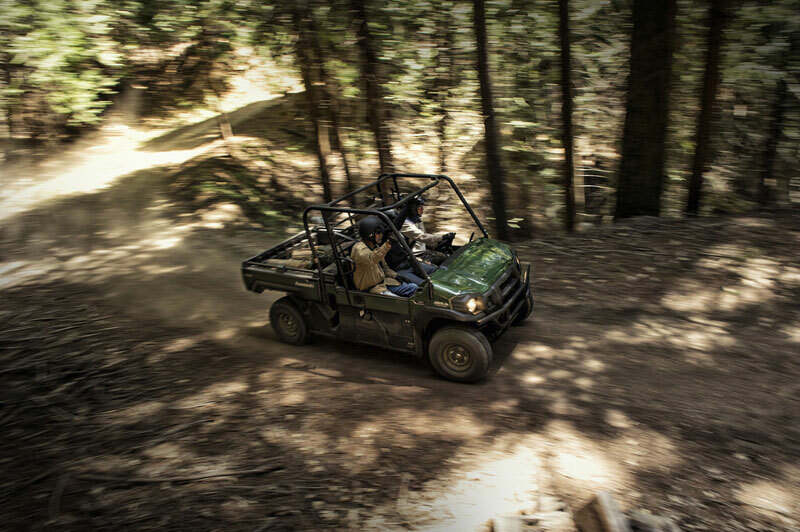 Wheelbase of 2,345 mm enables a relatively short 4.8 m turning radius, which facilitates negotiating tight corners in the bush or on trail courses. 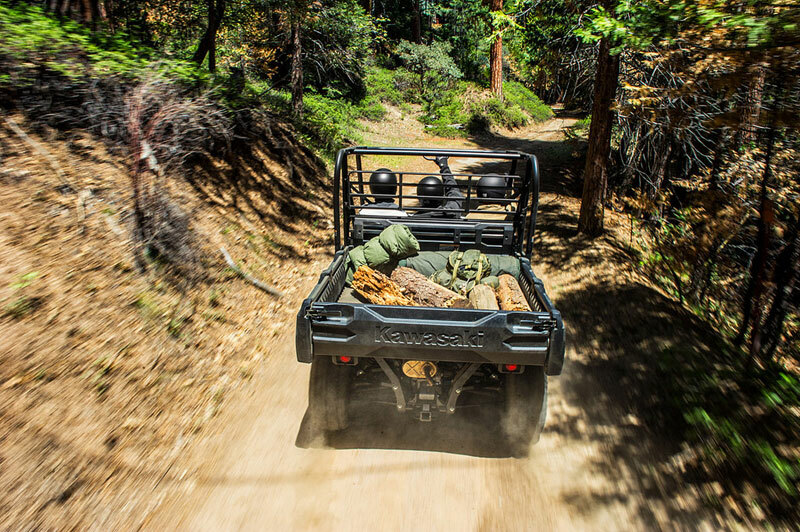 The wheelbase and ground clearance: 265 mm result in a favourable breakover angle: 26°, which reduces the chance of bottoming out when cresting a ridge or riding over a fallen log. 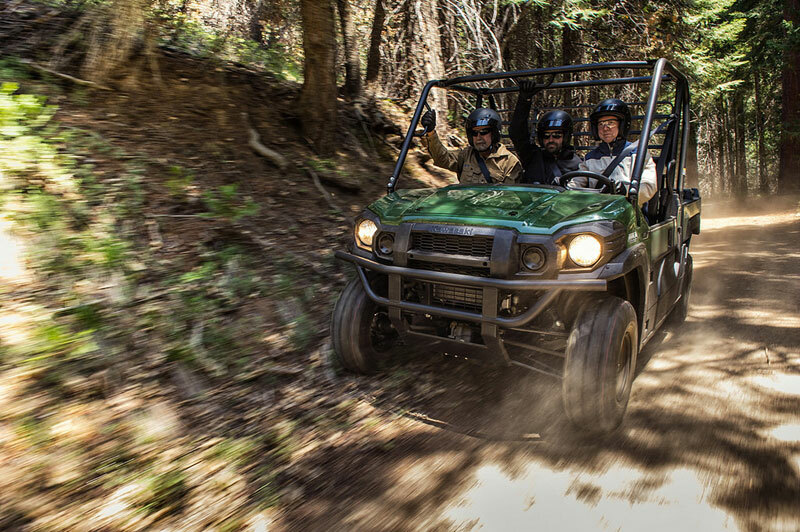 High approach and departure angles : 78° and 64° also contribute to off-road performance. Minimising bodywork overhang reduces the chance of hitting the bumper or scraping the tail when going up or coming down steep slopes. 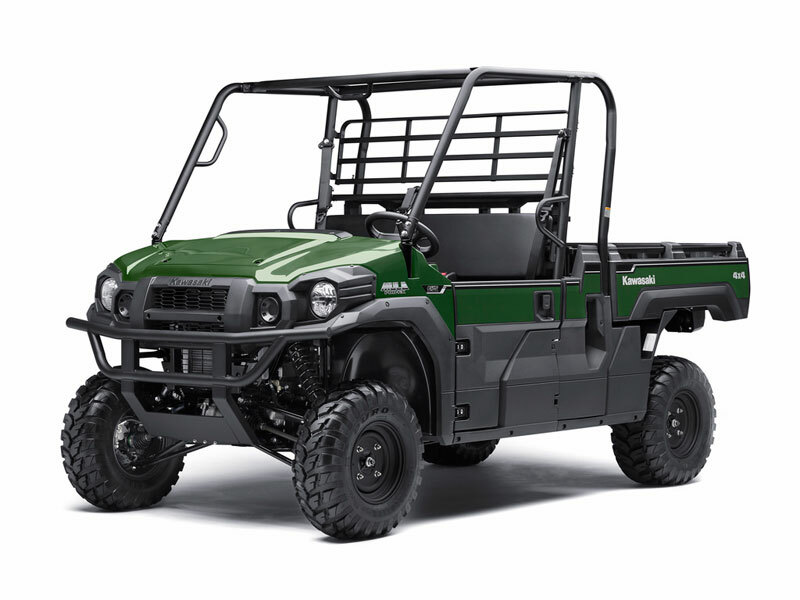 Complementing the superb outdoor performance MULE PRO-DX, and Kawasaki’s famous durability, these models also offer a number of comfort and convenience features to ensure that passengers are able to relax and enjoy the ride. 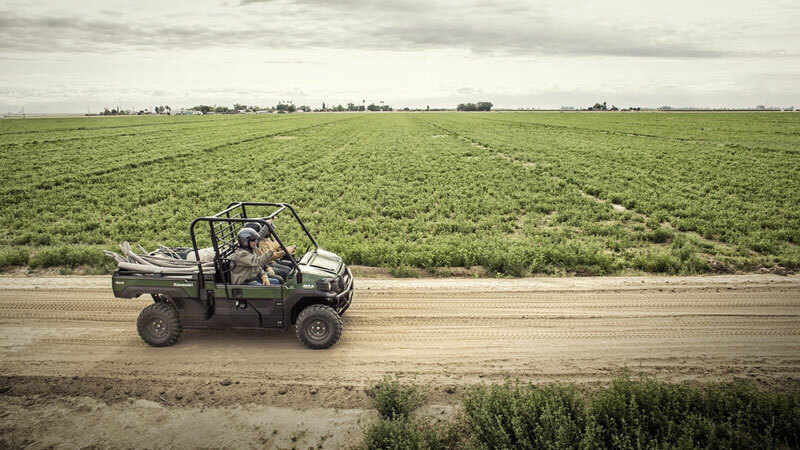 The MULE PRO-DX comes standard with doors, offering a level of mud protection and helping to prevent branches, gravel and other debris from getting inside the passenger compartment, while facilitating getting in and out of the vehicle. 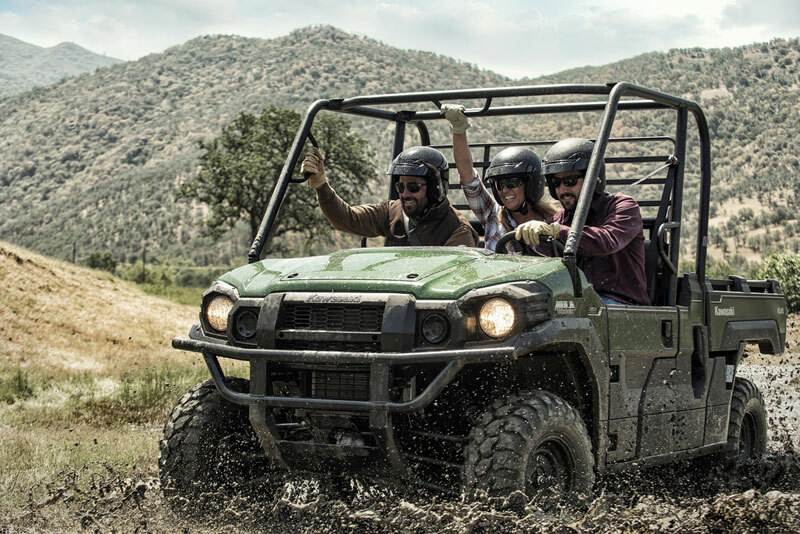 The wide-body chassis of the MULE PRO-DX enables a roomy interior space that offers the shoulder and legroom for three adults to comfortably sit side-by-side. Seat material has superb elasticity, offering increased comfort and holding performance. The material is also resistant to cold, allowing it to maintain its suppleness when temperatures drop and reducing the chance of tearing/ripping when exposed to cold temperatures. 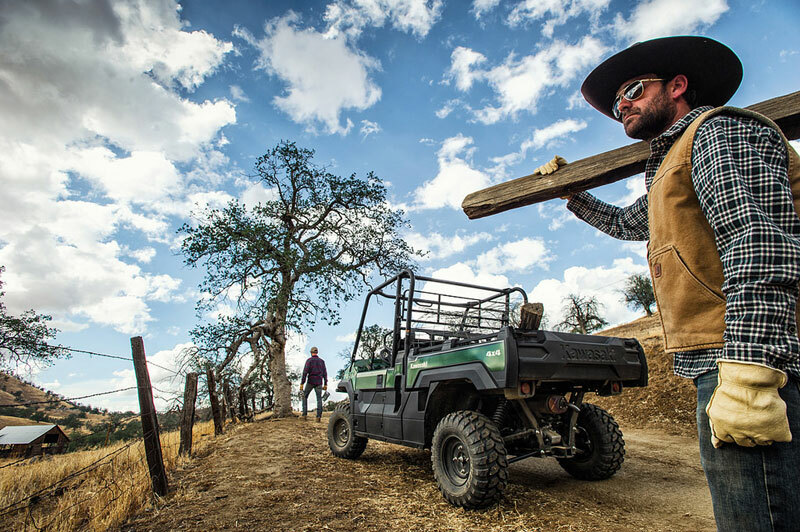 Handgrips for the passengers (integrated into the ROPS frame) contribute to comfort. Each seating position is equipped with a three-point seat belt to ensure driver and passengers stay securely in place. Optional Accessory LED headlights are available for the PRO-DX EPS model, for more lighting power. The MULE PRO-DX EPS is equipped with 26" tyres on 12" rims. 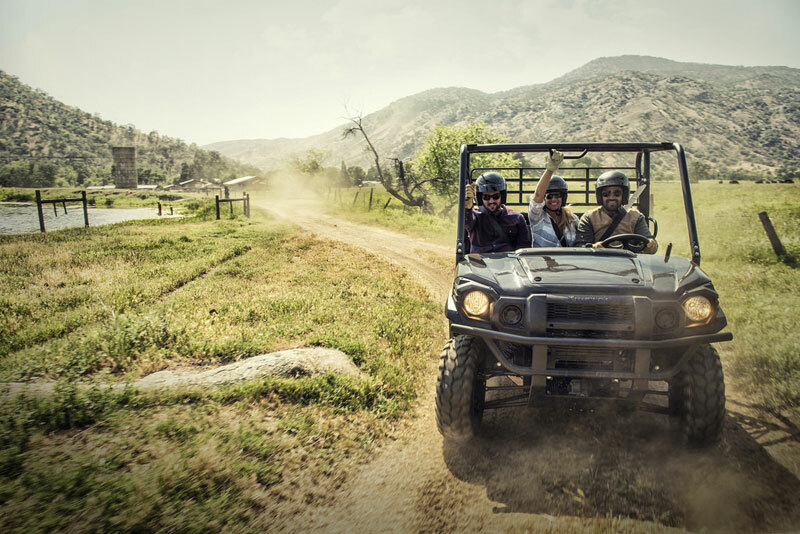 The large 26" radial tyres easily overcome obstacles and contribute to the PRO-DX's excellent off road handling. Steering wheel has a stepless range of approximately 40o allowing drivers to set the position to suit personal preference. This can also be used to lift the steering wheel out of the way to facilitate getting in and out of the vehicle. The thickly cushioned steering wheel contributes to comfort as well as the high quality feel of the PRO-DX. 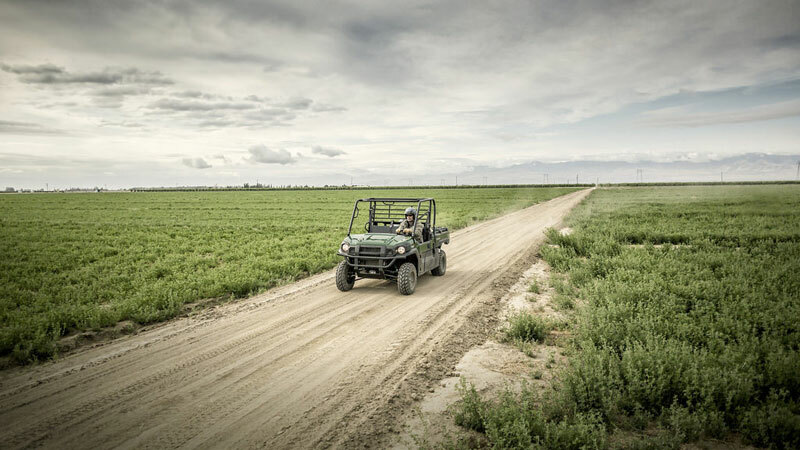 Kawasaki's high grade electric power steering (EPS) system works best when you need it most: at extreme slow speed and when stopped. turning the wheel causes a signal to be sent to the EPS ECU, initiating assistance. At slow speed or when stopped, assistance is greatest; assistance is reduced as vehicle speed increases to ensure stable handling. The EPS system also enhances the ride comfort and control by acting as a damping system. Passenger side glove box provides enclosed storage for small items. Three dashboard pockets (left, centre, right) provide a handy place to put small items. The centre pocket is large enough to accomodate the accessory audio system. Two drink holders are built into the bodywork of the front dashboard. Under the driver's seat is a new large storage compartment with a steel guard underneath to help prevent damage by rocks etc.